The foundation of modern America was born during the progressive era (Chambers, 1980). Progressivism refers to the different responses to the economic and social evolutions that occurred as a result of America’s rapid urbanization and industrialization at the end of the 19th century. In the late 1800s, millions of Americans migrated west and into urban areas, and hundreds of thousands of African Americans moved to northern cities. Moreover, the United States experienced unprecedented levels of immigration at this time (George Washington University, n.d.). Rapid advances in technology and industrialization took its toll on Americans. While urban areas benefited from electricity and running water, rural farmers struggled to maintain their farms as they battled increased competition, costly machinery, and falling prices. Thus, progressivism began as a social movement to cope with the various social needs of the time and ultimately evolved into a reform movement. Early progressives rejected Social Darwinism and believed that society’s problems, such as poverty, poor health, violence, greed, racism, and class warfare, could be best eradicated through better education, a safer environment, a more efficient workplace, and a more honest government. Progressives at this time were primarily college-educated urban dwellers who believed that the government could be used as a tool for change (George Washington University, n.d.). There were many important players during the Progressive Era who worked to liven the consciousness of America to the social ills plaguing many vulnerable communities. Investigative journalists became prominent voices in raising public awareness of social ills. These journalists, such as Jacob Riis, were known as “muckrakers.” They highlighted the poor health conditions of the poor and exposed corruption, and their efforts helped to inspire reformist legislation at both state and national levels (Filip, 2015). Likewise, many religious figures at this time sought to unify the sacred with the secular to demand expansive reforms for social change. These Social Gospelers worked with the laity on labor and living conditions and promoted the idea of a larger Christian community to combat the rising notion of individualism. Moreover, pragmatism became a popular way of educating and governing during the Progressive Era. Many scholars and academics emphasized the importance of applied knowledge. Notable Pragmatist, John Dewey, crafted significant pragmatic pedagogy and asserted that schools should be foundations for social change. Pragmatists notably did not just hope to garner government support for reform, but also sought to directly transform government through their influence (Filip, 2015). Women, too, had prominent roles during this time. Many groups organized to push for gender equality, prison reform, the creation of public kindergartens, day care for children of working mothers, and facilities to support children in need. Moreover, women’s organizations helped to push for legislation for the right to vote, culminating in the 19th Amendment, as well as for the creation of mandatory health and safety measures in the workplace (Filip, 2015). Individuals in professional and specialized roles, such as doctors, engineers, lawyers, teachers, and progressive businessmen demanded professionalization or systematic licensing for each of their respective jobs. These groups sought to discount fraud and denounce corruption and government ineffectiveness and inefficiency. Labor unions and workers’ associations began using strikes and boycotts to draw attention to their demands, especially regarding factory conditions. Some more radical groups, such as the “Wobblies” called for a new, uncompromising social order. Furthermore, industrialization and urbanization began booming at this time, ostracizing farmers from the political scene (Filip, 2015). 1914 cartoon showing Woodrow Wilson priming the pump, representing prosperity, with buckets representing legislation. 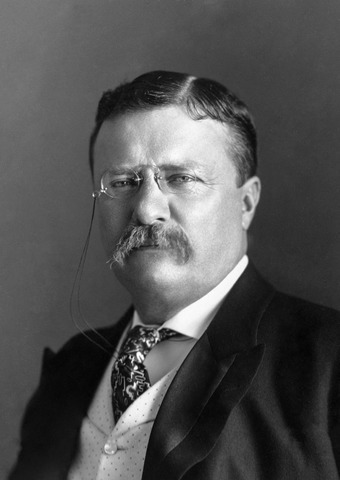 On a national level, progressivism garnered further support when Theodore Roosevelt became president in 1901. He believed that, while strong corporations were good for America, they must be sufficiently monitored for corruption and greed (George Washington University, n.d.). Furthermore, many progressives were elected into Congress. Thus, federal programs, such as The Children’s Bureau, were established. Moreover, the Sheppard-Towner Act (1920), also known as the Promotion of the Welfare of Hygiene of Maternity and Infancy Act, was the first major federal healthcare program. The Sheppard-Towner Act was groundbreaking, too, for its public relations campaigns, educating Americans on the importance of improved healthcare and social conditions for women and children (Filip, 2015). The progressive era came to an end with World War I as the horrors of war exposed humanity’s potential for large-scale cruelty. Many Americans began to associate President Woodrow Wilson’s progressivism with the war (George Washington University, n.d.). Chambers, J. W. (1980). The Tyranny of change: America in the progressive era, 1900-1917. New York, NY: St. Martin’s Press. From your comment, it appears you want someone at the SWH Project to prepare a term paper or dissertation. Sorry to say, we have more to do than prepare your paper. Best wishes, Jack Hansan, Ph.D.
Hi! I was wondering how the progressives promoted the general welfare of the people politically. The last person i asked said through referendum and reform but one cant typically write an essay in its entirety based on two words! i would greatly appreciate the help. Thanks! I enjoyed reading this. I am curious of who you believe best represented the progressive goals of the progressives. Your choices are of these influential people: Jane Addams, Samuel McClure, or Woodrow Wilson. Personally, I have done some research, and I have chosen Jane Addams. Again, who would you choose? Thank you for the question. I never really thought about who was the most progressive of the Progressives. However, I did a little review and came up with a number of names you might want to consider instead of Woodrow Wilson. Clearly, Jane Addams qualifies; but there are others who contributed significantly. For example, Mary Kingsbury Simkhovitch was influential in most of the great reforms of her day:the opening of public schools as social centers, National Aid for Public Education, widow’s pensions, nursery schools, child care centers, woman’s suffrage, housing, dock conditions and old age poverty. MKS was a popular speaker on such topics as settlement work, housing, recreation, and woman’s suffrage, and she published articles on housing, education, and her work at GH. She also published several books, including The City Worker’s World (1917), Neighborhood: My Story of Greenwich House (1938), Group Life (1940), and Here Is God’s Plenty (1942). Also, there are a number of labor leaders who might qualify:Rose Schneiderman,Robt. Hunter. Upton Sinclair, Jr. and Elsie Cole Phillips were Socialists. Hi! I was wondering what tactics exactly did the Progressive reformers use to promote reform? Which were the most effective? The answer to your question largely depends on which movement within Progressivism you are interested in. You may want to check out the linked articles about particular reformers that are contained in this article to get some ideas of where to start for your research. Hello, I am participating in a national history competition and stumbled across this article in my research. I would love to interview the author of this page, as my project details on the early 1900s Progressive Era/Upton Sinclair’s novel the Jungle and the rights of consumers’ in irresponsible industries. May I ask for contact to the author of this page, “John E. Hansan PhD”? Thank you very much! the competition through which I compete is known as the National History Day Competition (http://www.nhd.org/), thanks! Hello I am doing a report for my History class and hop ed that I could take some information from this site. Thank you for the question. This entry was posted on the Web site on January 20, 2011. Very informative article, thank you for posting this! Hello, I would like to take some information from this page, Can you tell me the date of published?